Every year countless of women and men wrack their brains over what to do for Valentine’s Day. Some consider it a typical Hallmark holiday, but the hopeless romantics incessantly search for the perfect date night. The beauty is it does not have to be as difficult as everyone makes it out to be. 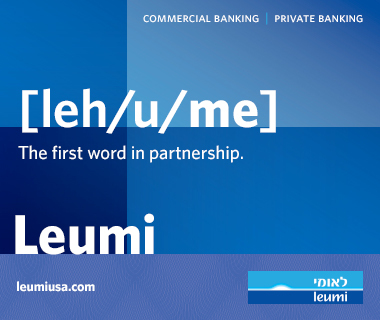 Speaking from experience, Valentine’s Day does not have to be expensive and lavish but instead loving and original. My husband has given me some pretty memorable Valentine’s Days. He has taken me to plays, top Chicago restaurants and given me special gifts. But one of the most memorable Valentine’s Days was one when there were no restaurants, no fancy outfits and no lavish gifts. I came over to his house after a 12-hour work day as a server, on the busiest night of the year, exhausted and frankly sick of Valentine’s Day. Adorned in my garlic-infused work uniform and a few splatters of marinara, I walked into the house ready to grab my bottle of wine and go to sleep. Instead, he walked me down the stairs to his basement and revealed his surprise: a room full of lit candles, champagne and handmade chocolate dipped strawberries with a bottle of Reddi-wip. The strawberries were adorably messy and irresistibly sweet and the Reddi-wip was just so deliciously perfect. We giggled and sprayed whipped cream at each other and cuddled up to watch a movie. There were no views from the 99th floor of some swanky building, nor were there any fancy outfits. It was us and a simple spread of sweets and laughter. It was just enough. If I can tell you anything it’s that, on the busiest day in the restaurant world, do yourself a favor and stay in, and while you are at it, whip up this tantalizing dessert. It’s incredibly easy but impossible to resist. Grab a bottle of champagne and go crazy over this sweet and creamy dessert. You can also use this to fill éclairs, cakes, macaroons, puff pastry, filo dough and practically any other fillable dessert you can think of. 1. Combine eggs and corn starch in a bowl with a whisk. 2. Pour milk and sugar into a medium-sized sauce pan and bring to a boil. 4. At this point, pour the egg mixture back into the sauce pan and bring it back up to a boil while stirring vigorously with a whisk. 5. 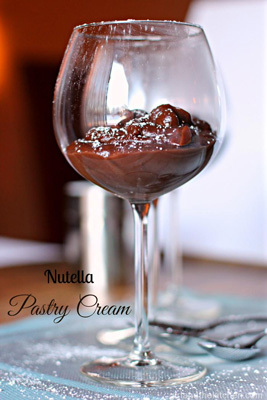 Once the pastry cream has thickened up, remove from heat and add Nutella. 6. 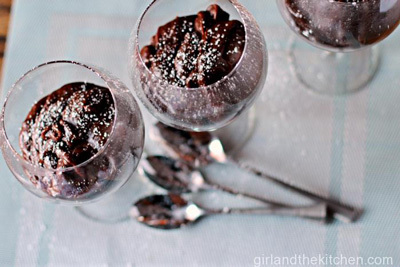 Pour into beautiful glasses or ramekins and cool until ready to eat. 7. Garnish with confectioners’ sugar and enjoy. 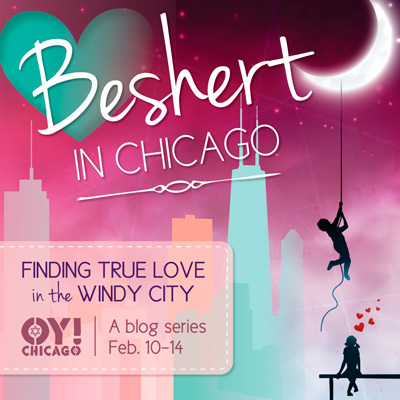 For more posts in our “Beshert in Chicago” series, go here.